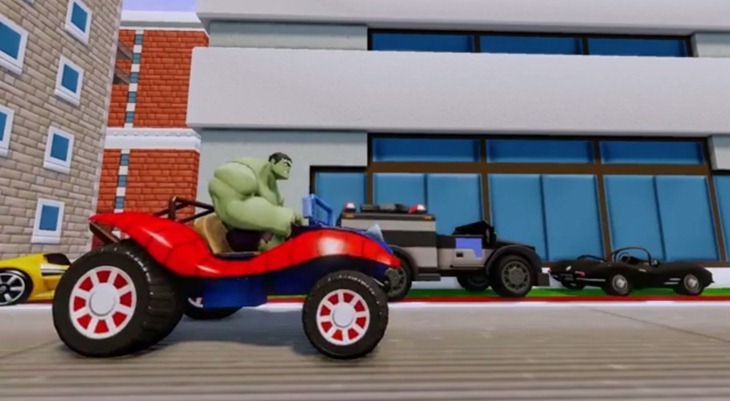 I’ve got a ton of games to go see and pester developers about at E3 next month, but honestly, the thought of seeing tiny super heroes in Disney Infinity makes me feel rather happy inside. All the Avengers will be present in September. Including everyone’s favourite gamma-powered green steroid rage monster, the Hulk. Especially when you see him in a video that confirms that Spider-Man is on the way. 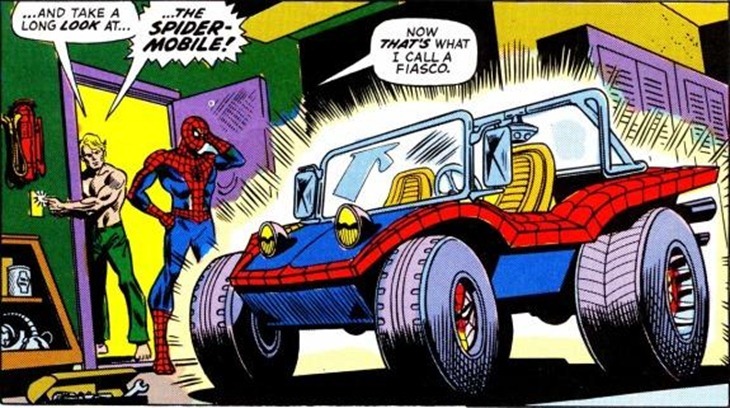 The Spidermobile (of Earth-616) is a short-lived car designed by Spider-Man and Human Torch. It is equipped with a durable exterior and interior, with nozzles that shoot webbing similar to what Spider-Man is capable of generating. The biggest reasons why Spider-Man is rarely seen driving it is because he never got his drivers license once he was able to web swing everywhere he needed to go. Yes, this actually happened in the Spider-Man comics. And yes, I am a giant nerd for knowing this. 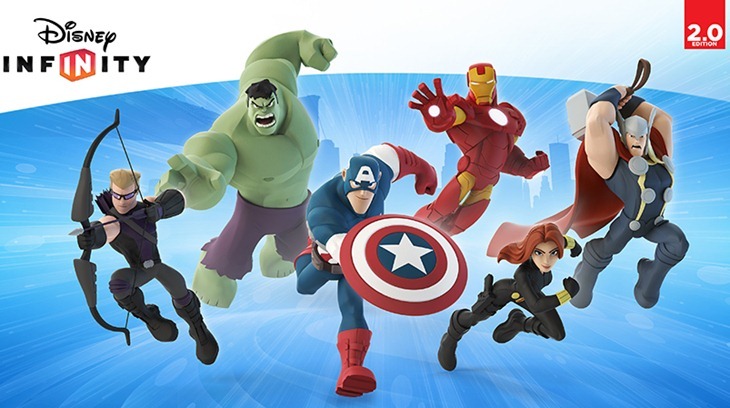 Disney Infinity 2.0 swings into stores in September, true believers. Nuff said.